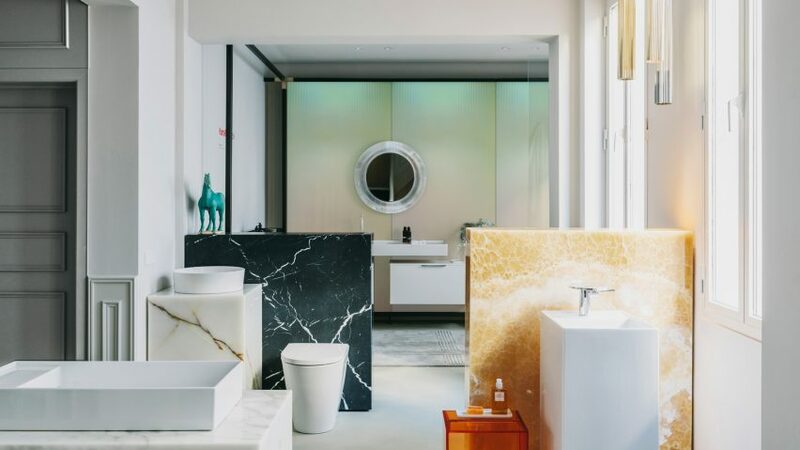 Spanish designer Patricia Urquiola has completed a "new kind of showroom" for bathroom brand Laufen that also includes a workspace for architects and designers. 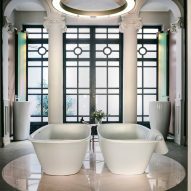 The Swiss bathroom brand's new Madrid showroom is located inside an early 20th-century villa and is split over two levels. The showroom is exclusively aimed at architects and designers – and to encourage them in, Urquiola also created a co-working- style environment with plenty of useable desk space. 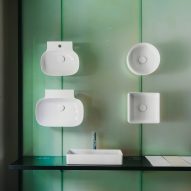 There is also a mock-up room, two meeting areas and a material library, as well as the spaces where Laufen exhibits its collections. 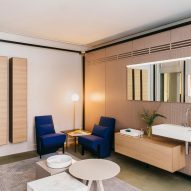 "The idea was to create a space with multiple functionalities, a new kind of showroom, where people can also work," said Urquiola. 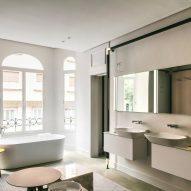 For finishes, the Spanish designer selected materials commonly used in bathroom design – which she describes as "strict and elegant". Across the different showroom zones, marbles are paired with coloured glass, resins and warm-toned oak wood. 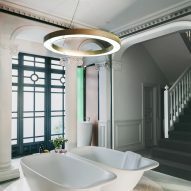 It has been a busy year for Urquiola, who placed at number 70 on the inaugural Dezeen Hot List. 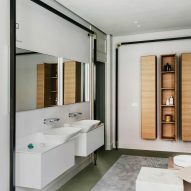 Following her appointment as creative director of Cassina, the designer has created interiors for a hotel on the shores of Italy's Lake Como, as well as releasing her first collaboration with Danish metalware brand Georg Jensen. 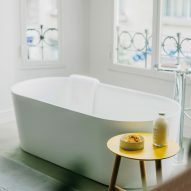 She has recently designed showrooms for a number of brands, including the US flagship store for Italian watch brand Panerai and Cassina's showroom in Midtown Manhattan. 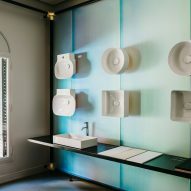 Laufen director Marc Viardot said working with high-profile designers like Urquiola has given the company an injection of new ideas, including about what a brand's showroom should include. "Working with international creatives on the highest possible level is constantly bringing new perspectives to our organisation," he said. "We have embraced the aspirational dialogue with Patricia Urquiola." 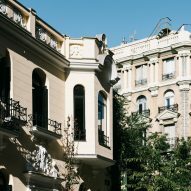 Photography is by Salva López.